EXCELLENT FUEL ECONOMY! 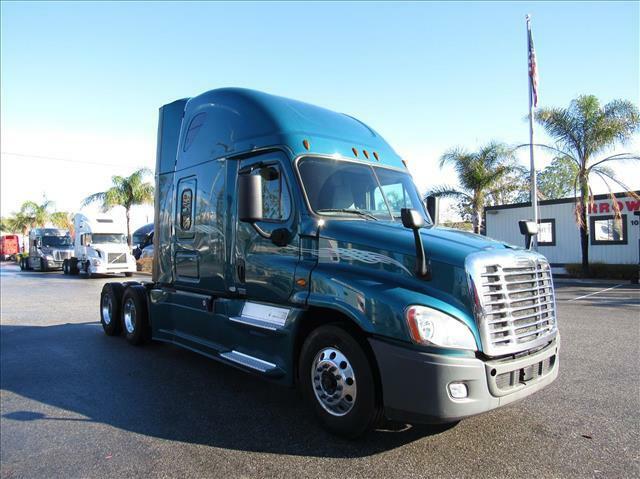 Superbly maintained double bunk teal Cascadia! Detroit DD15, 10 speed manual transmission, aluminum wheels, fresh oil change, DOT ready, gets 7.7MPG, has APU, new tires and more!